Should we expect anything less? By now, surely you've heard about NC State having an outbreak of the Norovirus on campus. Approximately 60 cases were positively identified this week and people are starting to get a little nervous. Most of the cases were centralized in Alexander Hall. But if you aren't up to date, here's the information we have on how the virus works and how to avoid its clutches during this already stressful week. Wake County Human Services confirmed the symptoms are indeed Norovirus. The good news is, students that are infected have been told to stay in their rooms to avoid spreading the illness. University Housekeeping will be paying extra attention to areas of high traffic where germs are more likely to be spread. But because it's a virus, antibiotics can't be used to treat it. You just have to let it run its course. If you feel sick, go to the doctor. The illness is extremely contagious, capable of spreading as soon as the patient starts feeling ill and even a few days after they start recovering. Keep this in mind when cleaning surfaces. The germs can live for a long time. The big symptoms include nausea, vomiting and diarrhea. Dehydration also is a major issue with Norovirus, so drink lots of water. 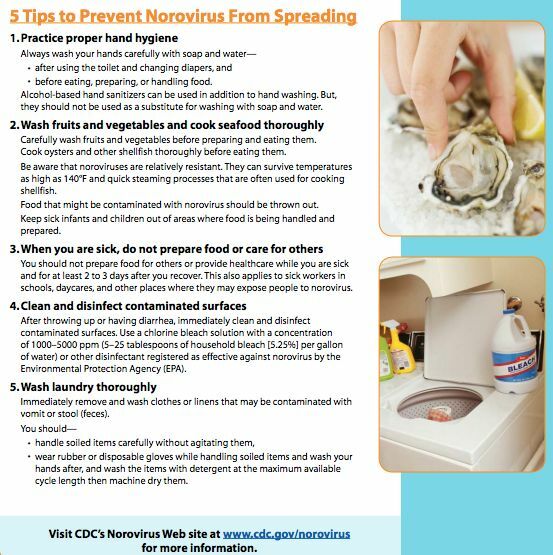 The CDC has more information about the Norovirus on their website. Whatever you do, avoid Alexander. And while you're at it I would probably avoid Talley, too. Ain't nobody got time for Noro.